My Zin-ful Weekend – Old Vine Zinfandel that is.. I must confess. It wasn’t planned and I had no control over it. Well, almost no control, I guess I could have said no but since it was mostly my idea and I was hosting; I must enter my plea as; guilty. My weekend was Zin-ful, full of Zin everywhere I turned. Zin Zin Zin. It was innocent enough when it started Friday after work over pizza. Ending Sunday night surrounded by friends over artesian cheeses [thank you Winn Dixie Cheese Steward!] and my lamb chili in what now has become known as BYO-Zin night. As most of these unplanned social get togethers go the fourth or so wine is always a little difficult to recall but I did my best at keeping notes on as many of the wines as possible. Winemaker Notes – There is a vast complexity of flavors and aromas in this wine, driven by the unique Paso Robles soils and the blend of three Zinfandel vineyards. The nose opens up with dried fruit and concentrated blueberry aromas, with white pepper, warm Indian spices, and a touch of gaminess rounding out the background. This wine is similarly complex on the palate, with chocolate-covered cherry flavors balanced by old vine spice and a hint of sweet cigar. Earthy, medium-bodied, with a touch of minerality, this varietally correct Zinfandel gets its depth from Paso’s red soils. Lingering full legs on the glass, dark fruit forward even jammy on the nose with prune, raisin and black cherry. 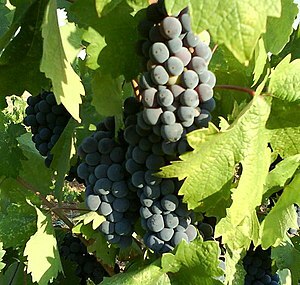 Medium body with medium to light tannins. Very berry on the palate with a dark drier finish softening nicely as it opens. Comments from guests; Classic Zin, vanilla taste, sugared plum scent, tasted dried fruits and a bit of chocolate, very earthy, lovely red color, not too strong, not too weak..just right. I usually see the Project Paso priced in the $14.99 range but recently as low as $11.99. Even lower on-line where it is attainable in the $10.00 range. At the lower price points [$10-$12] this is a BUY selection for me. ST. Amant Mohr Fry Ranch 2009 Old Vine Zinfandel Lodi Appellation. Lodi, CA- In the heart of the Lodi Appellation. A classic Old Vine Zin – big, ripe, and chewy with rich raspberry and spicy blackberry flavors finishing with soft supple tannins. From the Mohr-Fry Ranch vineyard with 66+ year old vines. Certified green sustainable winegrowing vineyard. Dark and rich in color. Raisin, plum and prune on the nose with some wood [oak, cedar?]. Also, tobacco, violet/licorice and sweet fruit smell noted. In addition; blackberry and cocoa were detected on the palate. I was first introduced to this consistently good wine, also from Lodi, a couple of years ago by close friends. In fact, friends in attendance at the BYO-Zinfandel social mentioned earlier. Same friends who had me buy them three cases recently when I came across Predator at our local Fresh Market store. As per the manager; I made his day! as I loaded my shopping cart with 36+ bottles. Produced by Rutherford Wine Company the 2011 vintage was recently awarded the Silver Medals in the New York World Wine & Spirits Competition and I love the fact that they use lady bugs as a natural method of removing insects harmful to the vines. Predator Zinfandel is sourced from 50+year old vines that produce rich and intensely flavored fruit. The resulting wine is big and bold with hallmark “old vine” velvety texture, spice and vibrant varietal flavors. The lady bug is a natural predator that feeds on insects harmful to plants. “Natural predation” is just one of the many sustainable vineyard practices that eliminates the need for synthetic pesticides. Medium garnet in color, Pinot Noir like in body. No legs to speak of at first, surprising because of the +14% alcohol level, but developing somehow soon afterwards. Sugar cured ham on the nose! I am not crazy or alone. Others report it to be bacon. Also noted was a spicy orange peel that may also have to do with the ham, leather, cocoa, casis, and a moist aroma I would describe as wet earth or possibly mushrooms. Light tannins with an acidic finish that was balanced out nicely by food and time as wine was decanted. Although quite varied all were representative of the Zinfandel varietal and are very worthy of a repeat performance at the next POP UP BYO-Zin party but with better note taking practices required!! That said I am already wondering what the next BYO varietal theme should be…..
Zinfandel (or ‘Zin’as it is affectionately known in its American homelands) is a dark-skinned red wine grape variety widely cultivated in California. It arrived in the Americas from Europe in the early years of the 19th century, and was an immediate success in its Napa and Sonoma strongholds. It wasn’t until DNA research was carried out in California in the 1990s that the variety was confirmed (as had long been suspected) to be Italy’s Primitivo under a different name, or Crljenak Kastelanski, originally from Croatia’s Adriatic coast. Gotta love old vine Zin. You should try a comparison on US Zinfandel and Italian Primitivo. See how the old world daddy of Zinfandel compares to it’s new world child. Great idea. Italian Primitivo is on my favorites list but have never had them side by side. Zins are one of my early loves … so they will always have a special place. I’m always watching for value zins … so thanks for the list. In general, I find Lodi as hit and miss … so I appreciate your advance work. Cheers to Amador too. BTW … Have you tried Parker Estate? I do not know Parker Estate so will have to keep an eye out. Zin? Have you tried the 2010? Relatively speaking I like the fact of the lower production quantities. Not sure what the last bottle was BTW – the recycling bin was picked up shortly before I made the comment … so I couldn’t check … put I will check the shelf at the store when I go. Hey, I know those red rocks behind you in the picture!! I notice you had to skip Sat night’s non-wine beverage consumption due to an early October-fest at Scotty’s. Our Early Oktoberfest helped filter all the wine in my system! Quite the weekend: great wine, beer and friends. PS I love those red rocks of PEI. Great memories. Magic speaks my mind. The comparison is a great idea! Takes one to know one 🙂 THX for the visit. You’ve inspired me to RUN to the Stew Leonard’s to try to find these wines. I love Zin! Hope you get to try them. Thanks for the visit and comment! As per previous comment. When to the store to see Parker’s Estate … it was 2010. When I first tasted my last bottle, something caused me to think it wasn’t as good as previous bottles. Being that I didn’t notice the year, that could have been it. Given the $13 price, compared to others at that price, it’s OK. Thanks for checking the vintage for me I will keep an eye out for this one. On the Predator: What??? No bacon or ham on the nose ?